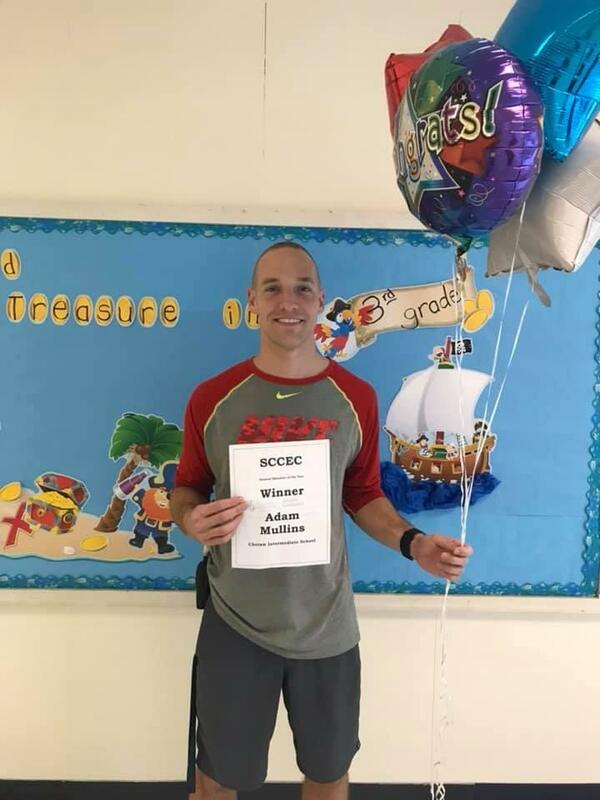 Adam Mullins, a PE teacher at Cheraw Intermediate School, has been selected as the 2019 recipient SC CEC General Education Teacher of the Year. - Sandra Myers, Special Education Department Head at Central High School, was awarded a $750 grant titled “Audio for Central”. - Cheraw High School Alumni, Jesse Dean, was awarded the Betty Brown grant for $1000.00 to assist with funding for a training program at Winthrop ThinkCollege Program. - Cheraw High School Alumni, Ana Price, was awarded the Laura Mohr Scholarship for $1000.00 and SC CEC Student Member of the Year. To celebrate this achievement, each will receive his/her award at the President’s Awards Luncheon on Friday, March 1 in Myrtle Beach. Award winners will be given a free ticket for their lunch and1-2 additional tickets for the luncheon based on the guidelines of their award.